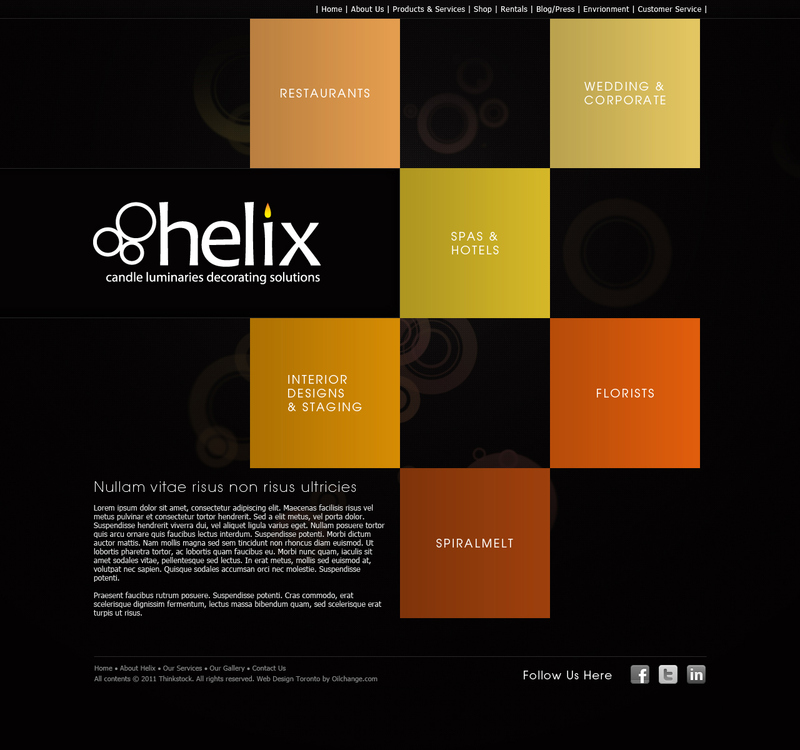 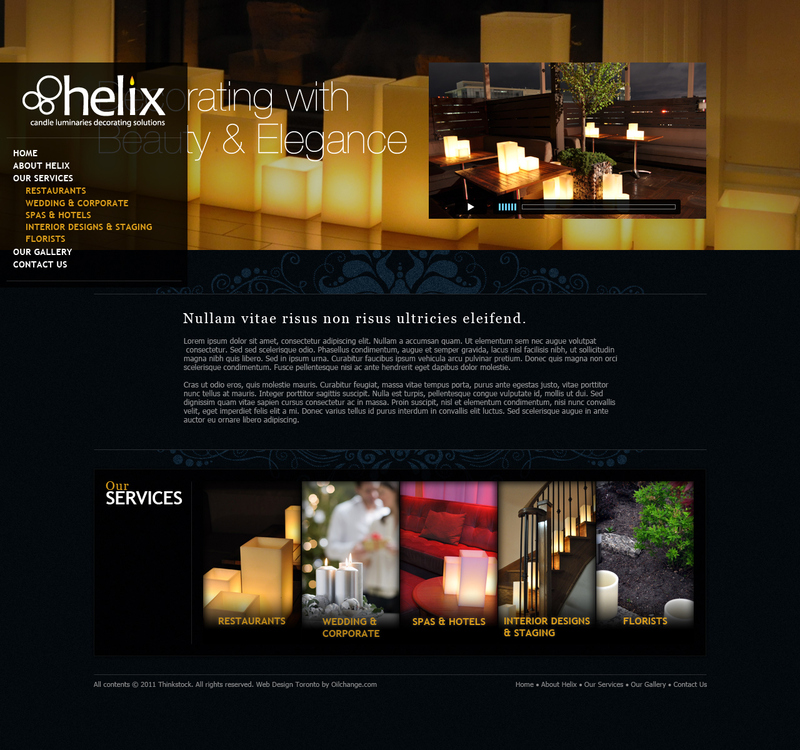 Helix Candles was founded in Toronto, Canada in 2010 by Catalina Navarro Designs. 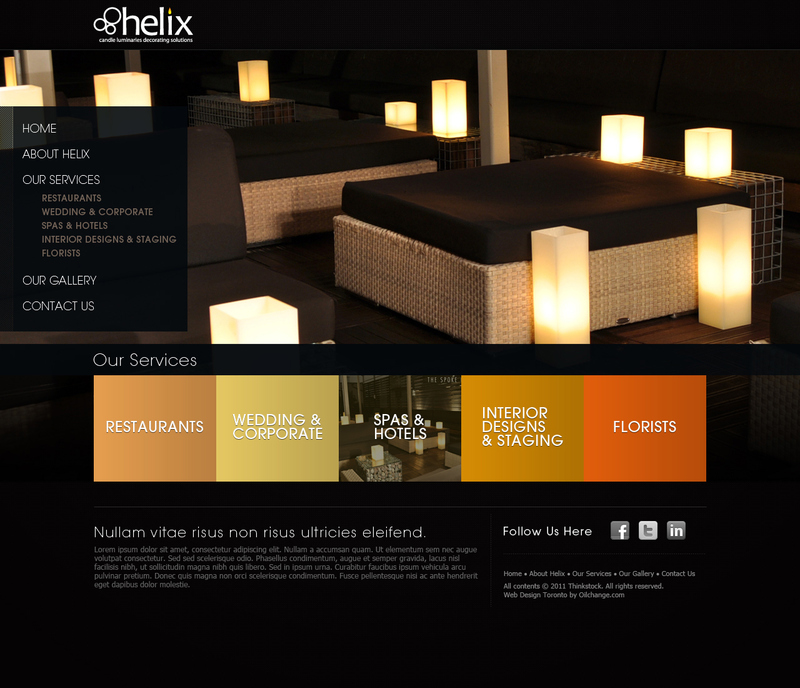 After starting with one innovative product called "Spiral Melt" Candle packaging, the company has expanded, now offering its unique and elegant Helix Candle luminaries as a sophisticated and contemporary candle lighting option for: weddings; businesses like spas, restaurants and hotels, home staging and interior design; and social and corporate events. 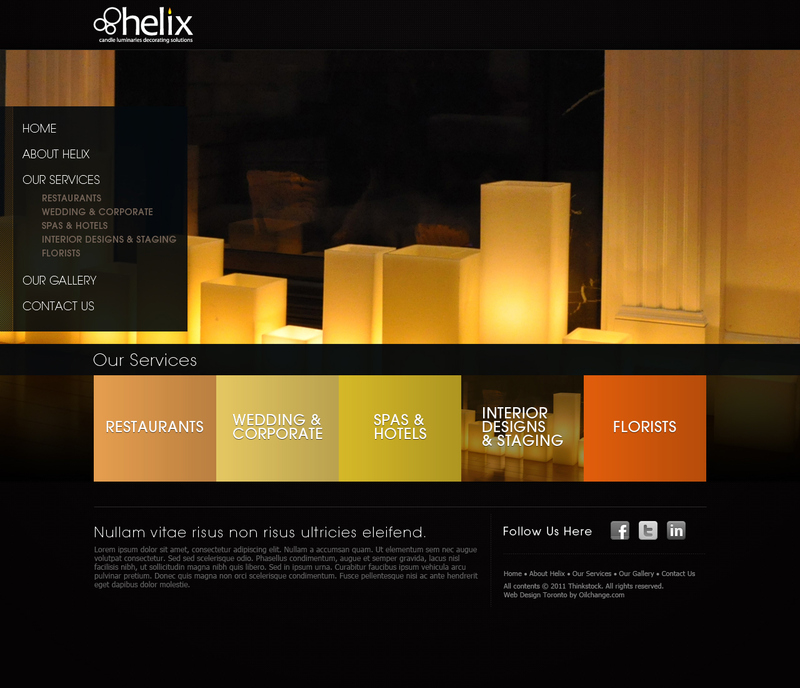 The new website design allows users to easily learn about each different services and showcases different types of products.